Imagine two people, one who is a loyal customer with a high lifetime value and another who has never heard of your brand. Now imagine these two people have a great deal in common in terms of interests, behaviors, age, and location. What if you could use the profile of your customer to connect with the relative stranger? That’s what Facebook Lookalike Audiences are all about. In this post, we will look at one of Facebook’s specific advertising capabilities: Lookalike Audiences. We’ll cover what they are, how they’re built, and how to use them. Lookalike Audiences are a feature within Facebook’s Ads Manager that was first rolled out in 2013. You can use Lookalike Audiences to create a new group of Facebook Marketing prospects who share similar characteristics with your existing, engaged, audiences. What do you need to create one? To create a Lookalike Audience, you will need a way to generate an original Source Audience. There are a variety of ways to do this, such as a Facebook Pixel on your website, a list of your existing customers, people who Like your Facebook page or people who use an app that’s integrated with Facebook’s Software Development Kit (SDK). How can you create Source Audiences? Lookalike Audiences are generated within Facebook’s audience dashboard, which is a feature of Ads Manager. How do you create Lookalike Audiences? Once you have created a Custom Audience you can choose it as the source of the Lookalike Audience. Next, you will choose a Target Country. You can choose the one that most closely matches your existing audience or a different country. Finally, you choose an Audience Size, which ranges from 1% to 10%. The 1% audience represents the top 1% of users that most closely match the Source Audience. It’s the smallest possible audience, but it’s also the most similar. The 10% audience size is the largest possible targeting option, but it’s the broadest match of all audience sizes. Lookalike Audiences are best suited for identifying new individuals that you hope to engage. 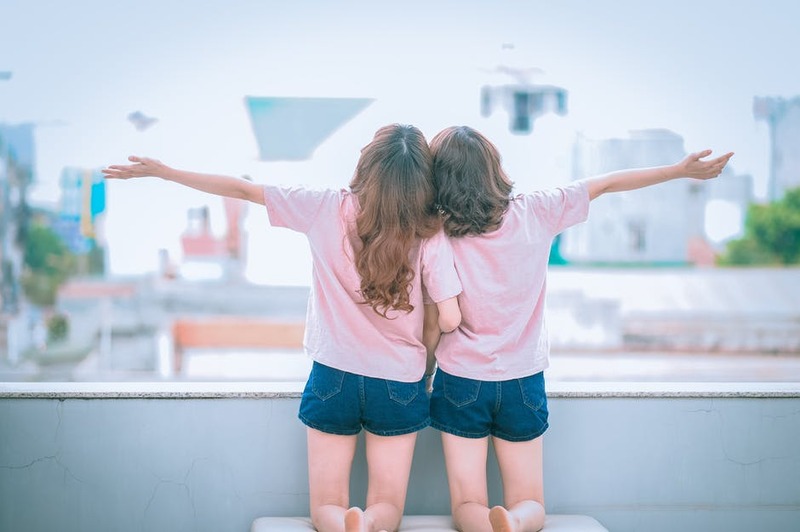 If you’re looking to drive top of funnel leads, experimenting with Lookalike Audiences may be a great way to begin reaching new prospects who share similar traits with your existing audiences. Even businesses that are effectively drawing leads from other marketing channels may still find that Lookalike Audiences are an excellent complement to other efforts and an opportunity to make use of your customer data. Lookalike Audiences can also help grow brand awareness by increasing your exposure to new potential customers. Multi-channel attribution for conversions and sales are becoming more commonplace. Customer conversion cycles are often long and may cross multiple channels. Forward-thinking marketing strategies involve engaging potential leads at every possible touch-point and on multiple platforms. Finally, Lookalike Audiences are for the bold and creative: the sheer range of options for the Custom Audiences you can create from a source should intrigue marketers who love experimentation and testing. For example, you can even test very similar Lookalike Audiences against each other. You can determine which scenario produces a better ROI, the 1% or 10% audience size. Or for a geographically based test, you can look at ad performance in two different Spanish speaking countries. Facebook Lookalike Audiences have to be comprised of at least 100 people. That's usually not going to be a problem unless you have a very restrictive Source Audience or choose a very small country. For a populous nation, the 1% size setting (i.e., the 1% of Facebook users in that country who most closely match the Source Audience) can be quite large. In the United States, it might be over 1 million people. And the 10% audience size setting might be over 10 million. What Metrics would you use to measure campaigns using Lookalike Audiences? Since Lookalike Audiences are best suited for generating new leads, if the campaign is going “broad”, then visibility metrics are likely going to be the most relevant to measure and apply to optimize campaigns. For example, Reach would be an important metric if you are are trying to widen the top of the funnel as much as you can. Refining your targeting to look for action-based attributes can result in warmer and narrower audiences. These interaction and engagement metrics will be useful complements to pure visibility metrics. You can align the metrics to the original Source Audience, but always keep in mind that Lookalikes will be entirely new people, who may be getting an introduction to your brand for the first time. The most important aspect of generating effective Lookalike Audiences is using a high-quality Source Audience. The old maxim “garbage in, garbage out” definitely applies here. In the setup process, most of your time should be dedicated to setting a well-defined Source Audience for building your Lookalike Audience. Once you have a Source Audience, choose your target country. For most organizations, staying within the country of your Source Audience is going to be a natural choice. 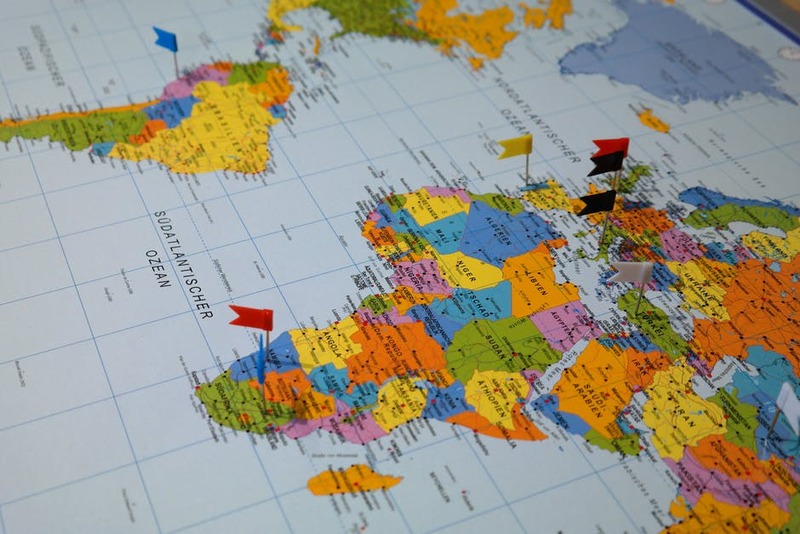 However, for organizations looking to expand into new, international markets, Lookalike Audiences allow you to match similar demographics and behaviors within an entirely new country. If you’re tasked with initial market penetration in a new country, you should absolutely consider Lookalike Audiences. It will allow for maximum reach within a new and unfamiliar area, while still having some internal structure and logic so you aren’t flying blind in new territory. Next, choose an audience size. If you are just getting started using a Lookalike Audience, we recommend you choose one end of the spectrum and adjust over time, optimizing for engagement, conversions and lifetime value of a customer. If you start at 10%, you will be maximizing the possible Reach, as the audience size will be much larger. However, because the 10% size will be the broadest match to the Source Audience, you may find engagement and conversion rates are lower than you’d like. A 1% audience size is going to be the closest match to the Source Audience, but it will have the smallest reach as well. Choosing the initial audience size depends a lot on the organization and its potential customer base. Big brands and medium-sized businesses with a nationwide customer base are probably going to want to set the size at 10% for the widest Reach and then dial down the audience size based on performance until the optimal balance has been found. Smaller and regional businesses may want to start with a 1% audience and dial it up as Reach needs to be expanded. Digital marketers are on a perpetual quest to use data to understand their customers. Better understanding customers helps to improve conversion funnels and identify new audiences. Lookalike Audiences are a helpful way to leverage what you know about your engaged audiences to find new prospects. 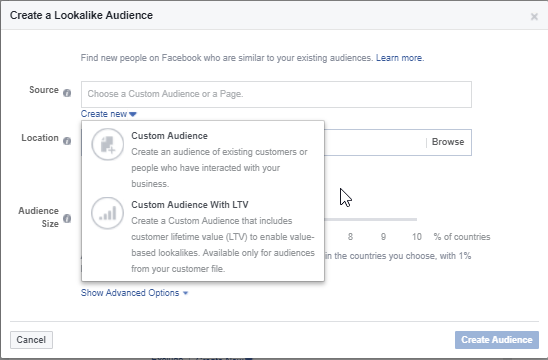 With lists of people who have traits in common with your existing customers, you can also combine Lookalike Audiences and apply normal Facebook Advertising targeting options. Layering your targeting options will help you continue to refine your potential audience, making it smaller, but more focused, further improving the overall lead matching and quality. One last reminder: always be measuring and reporting. Identify the right metrics for the right campaign, make sure that you are properly tracking them and then adjust your campaigns as needed.